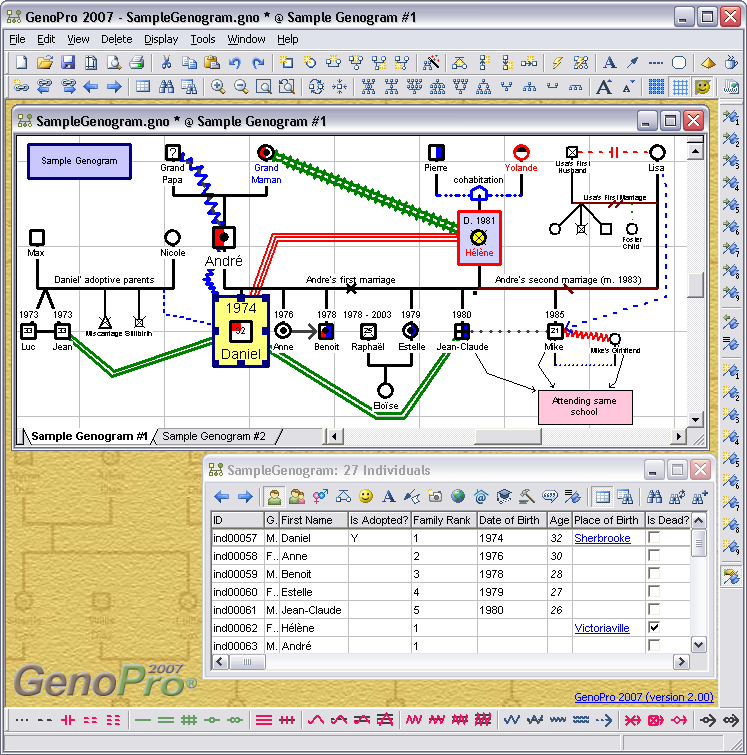 GenoPro is a genealogy software for drawing family trees. 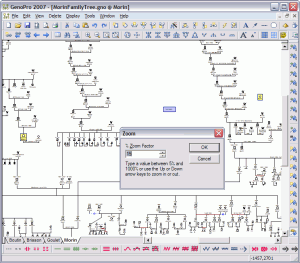 The software can display a complete graphical representation of your genealogy tree. GenoPro, stands out because you can see both	ancestor and descendants at once. Unlike most other family tree software, you are not limited to either direct descendants or direct ancestors charts. You create family trees in GenoPro in a familiar way, by drawing them in the way you are used to seeing family trees. Because of this and more, GenoPro is the easiest to learn and to use. If you are a beginner to genealogy, you can learn to use GenoPro and create your family pedigree in a few minutes without needing to consult the online help. Display complex families with multiple spouses. GenoPro has been downloaded more than two million times and sold in more than 150 countries around the world. Many professions use GenoPro, from students to social workers, notwithstanding genetic researchers. 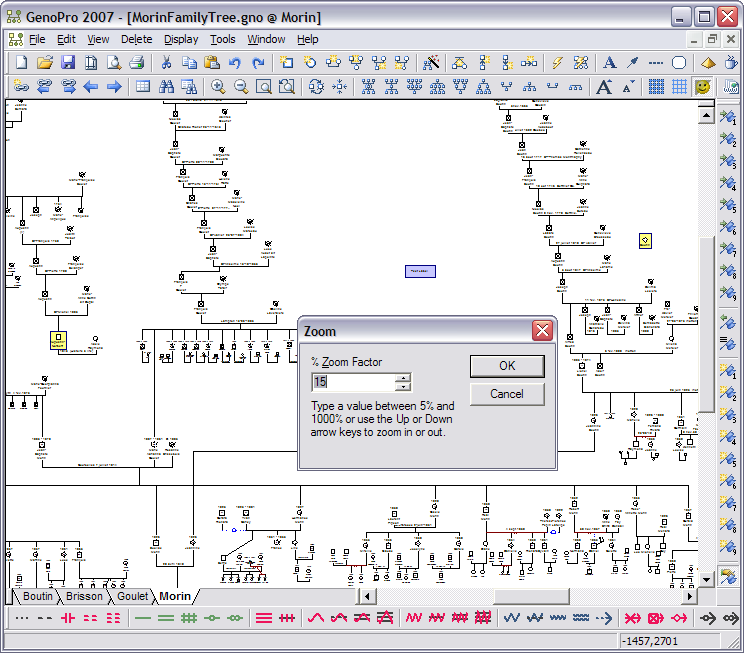 Create family trees using GenoPro with a few click. Standard Copy, Cut & Paste with unlimited Undo & Redo. Drag & Drop. Open files with the simple action of a mouse drag. Zoom In / Zoom Out. View the same genealogy tree in different ways. Font dialog to display names in foreign languages. Support for multiple pictures for each individual and marriage. Full range of functionality to perform analyses and handle complex scenarios. Table Layout - Display all your genealogy data in a spreadsheet format. Quickly find errors and missing data. Internet Hyperlinks. Navigate from a genealogy tree to the individual's home page on the web. Unicode support. In the same tree you can mix up any number of language ranging for plain English to Japanese and right to left typing language. Instead of writing all your information into a big block of text, all your data is saved into dedicated fields so it can be searched and regrouped easily. Place of birth and death. Family type and marriages / unions. Custom tags to create new dedicated field. 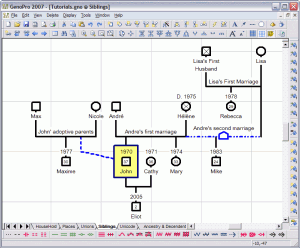 Gedcom is a standard format for storing genealogy information. Gedcom Import - Convert a Gedcom file into a genealogy tree. Gedcom Export - Convert a genealogy tree into a Gedcom file. Convert your Gedcom files to HTML reports in any language. Share your family tree by publishing it via the web or by using an HTML report. Generate rich HTML reports (see sample reports). Publish your genealogy on the Web using your Internet connection. Customize your reports to your needs. Free hosting of your family trees. Push the limits of genealogy by using this powerful engine. Approximately 1 million individuals per .gno file. 1 million custom fields per object. 1,000 GenoMaps per .gno file. Unlimited number of ancestors and descendents. Unlimited number of children per family. 1 million characters per name and/or comment. The width of a GenoMap is limited to 4 billion units for Windows NT 4.0, 2000, XP and Vista. Under Windows 95, 98 or ME, you will experience scrolling problems with a tree is larger than 65,536 units. The date format includes dates from 0001 AD to 9999 AD. Can print a genealogy tree up to 22,500 pages. This is a reminder GenoPro offers free online backups of your genealogy data. There is no limit on the size of the backup or on the frequency of backups. Performing a backup is as easy as three mouse clicks. Therefore, it is wise to perform backups in case your hard disk crashes and/or your computer becomes unusable. If you have completed your family tree and wish to share your research with others. With a few mouse clicks, you can publish a complete report of your family tree, an interactive graphical tree, timeline, calendar of birthdays, GeoMapping of places, pictures album and more. Because a narrative report is easy to read and visually pleasant, it one of the best tool to discover typos and errors in your family tree. 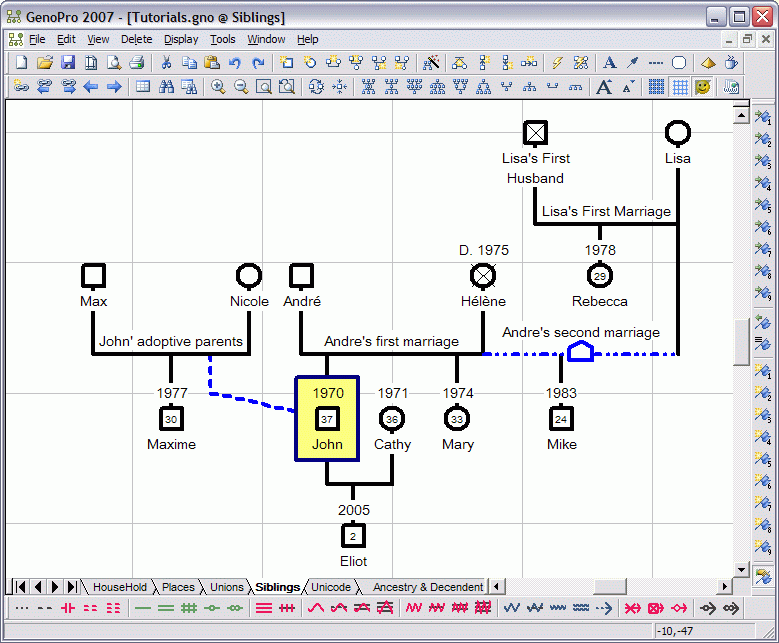 GenoPro is family tree builder easy to use to create printable family tree chart. You can draw your ancestry with your personalized symbols and get the big picture!